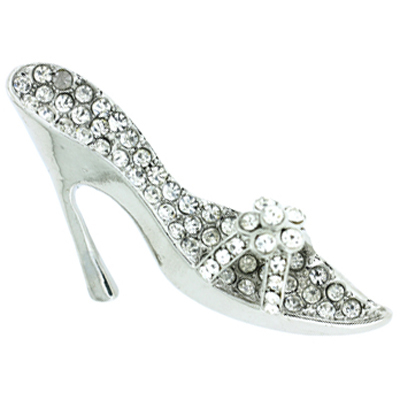 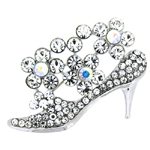 Stiletto brooch encrusted with clear crystals on a silver frame and fastens with a flag pin and revolver clasp. 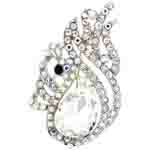 Size: 4 x 3.5 cms. 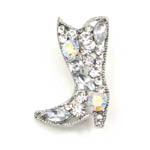 Someone who loves shoves with love this brooch!